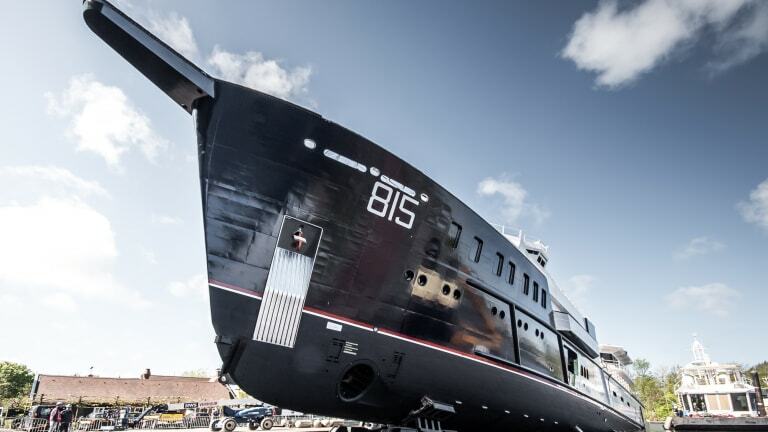 A recent private tour of Feadship’s Royal Van Lent facility in Kaag, the Netherlands (sponsored by the Holland Yachting Group), revealed the highly acclaimed 243-foot (74-meter) expedition yacht Sherpa on full dockside display. 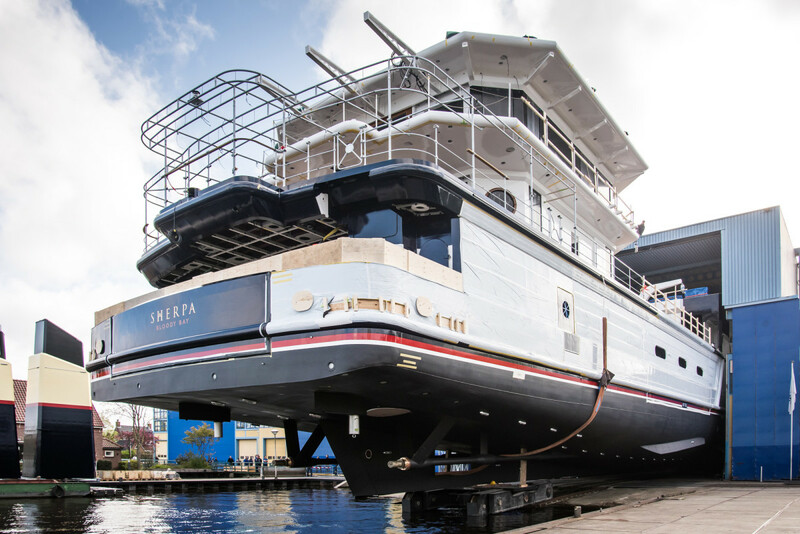 Built for a previous Feadship client who wanted a yacht capable of cruising to extreme locations, her unfaired hull, with its exposed steel plates, gives her an explorer-like exterior profile, with teak and polished stainless-steel accents. The main deck has cranes for tenders, vehicles and a landing craft. A large hull door on the starboard side can be folded down to create a massive beach club with a flush floor, while the cargo bay platform on the port side rotates upwards. The stern bulwark also rotates and can serve as a swimming platform to the beach club. 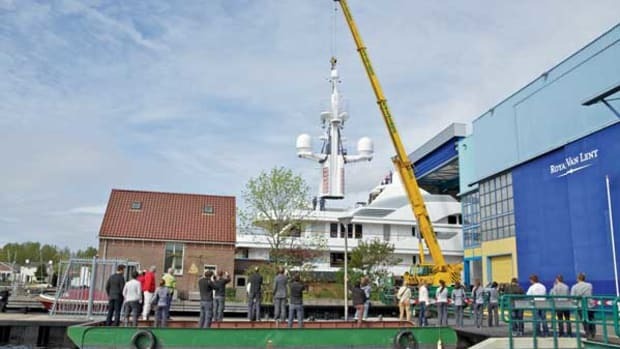 Feadship&apos;s 243-foot expedition motoryacht Sherpa launches at the Royal Van Lent facility in Kaag. RWD designed the interior, which includes a lounge, dining area and bar below the helicopter platform, and additional living spaces forward, including a bridge-deck observatory. The main deck houses the owner’s stateroom, two VIP staterooms and four guest staterooms. Sherpa’s purposeful exterior combines extraordinary guest facilities with extremely practical and versatile operations, allowing her to operate globally in a number of roles. Her interior is well appointed and whilst reflecting the nature of an exploration vessel it is underpinned with a fascinating level of detail. 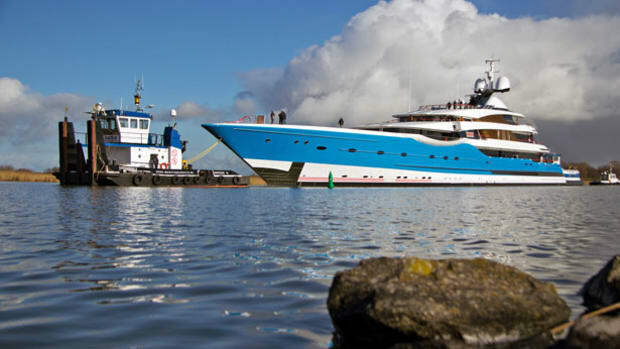 The official christening ceremony and delivery will take place later this year. 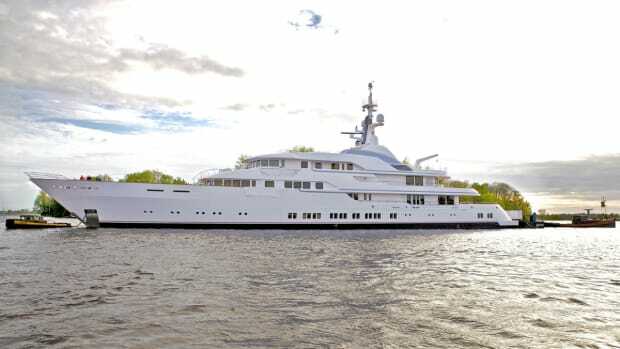 Meanwhile, Feadship’s largest superyacht to date, currently titled No. 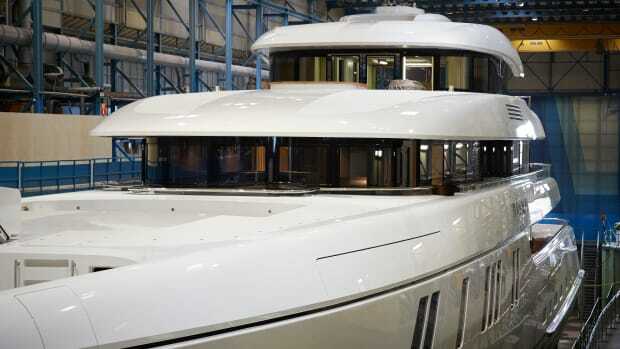 1007, has launched at the shipyard&apos;s Makkum facility. 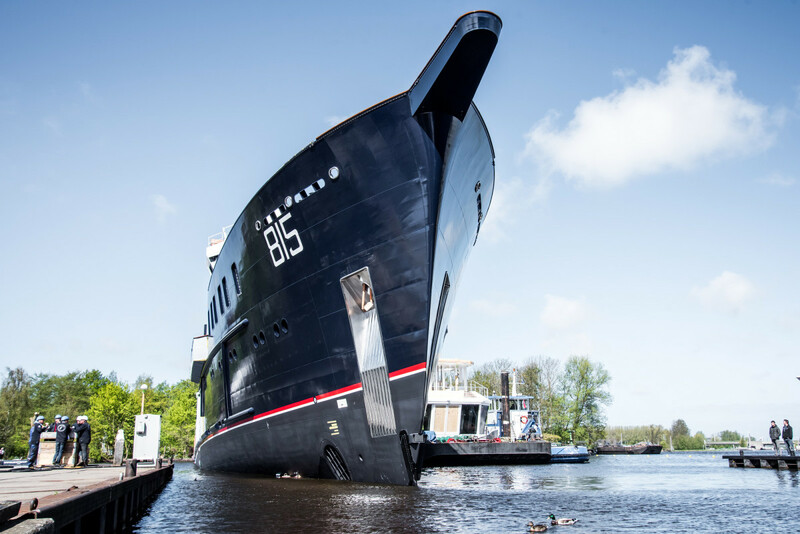 Once delivered, she will tie Oceanco’s Jubilee as the largest yacht ever built in the Netherlands. 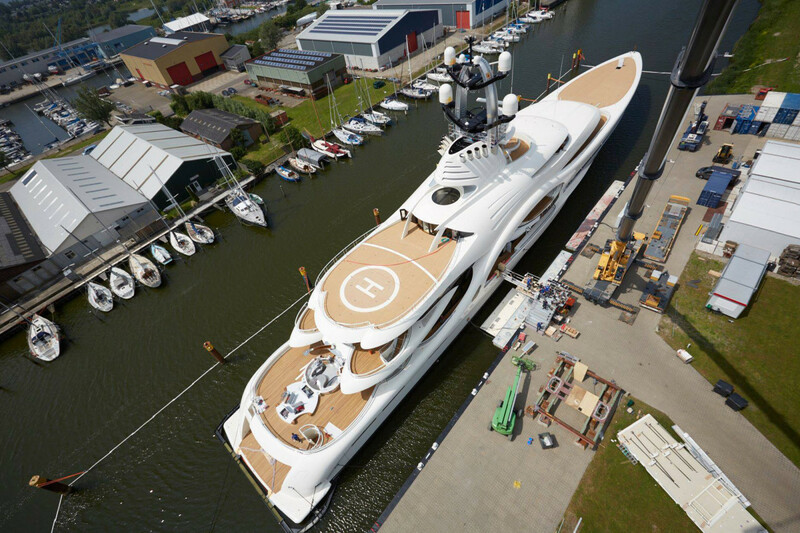 The 361-foot (110-meter) No. 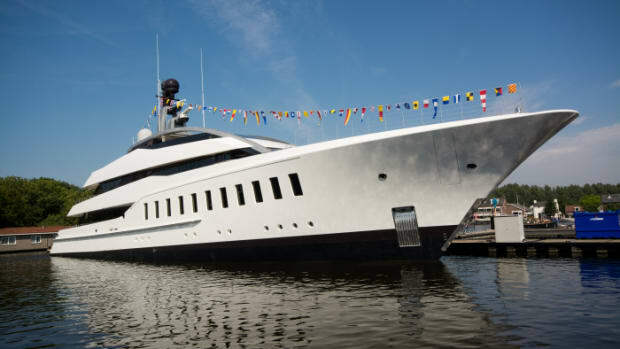 1007 has interior design by Michael Leach Design in collaboration with the owner&apos;s personal New York designer Brian McCarthy Inc., with naval architecture handled in-house by De Voogt. Details are scarce about No. 1007 due to a strict privacy mandate by the owner. 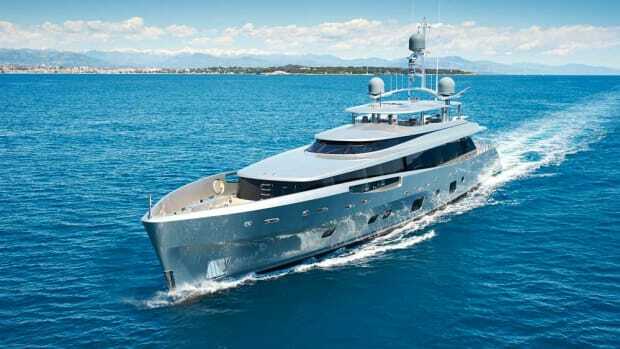 What we do know is that she has a steel hull with an aluminum superstructure and a striking exterior which makes good use of glass and offers plentiful outdoor living spaces on deck. Built to Lloyd’s Registry standards, the four-deck displacement yacht has a dramatic architectural curve that links main deck and upper deck. She is rumored to have a side-loading tender garage and a fold-out beach club, which we could not confirm at time of press. No. 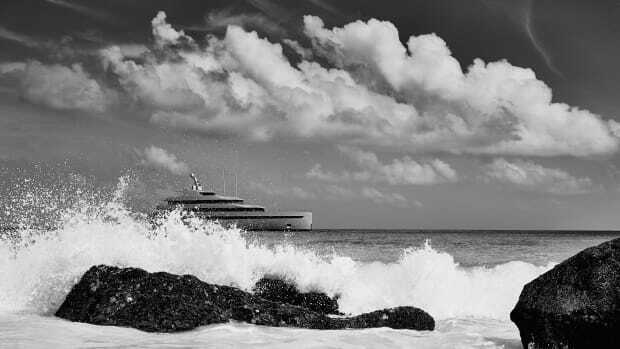 1007 joins Yachts International’s list of the world’s Top 100 superyachts, entering at #33 in LOA. 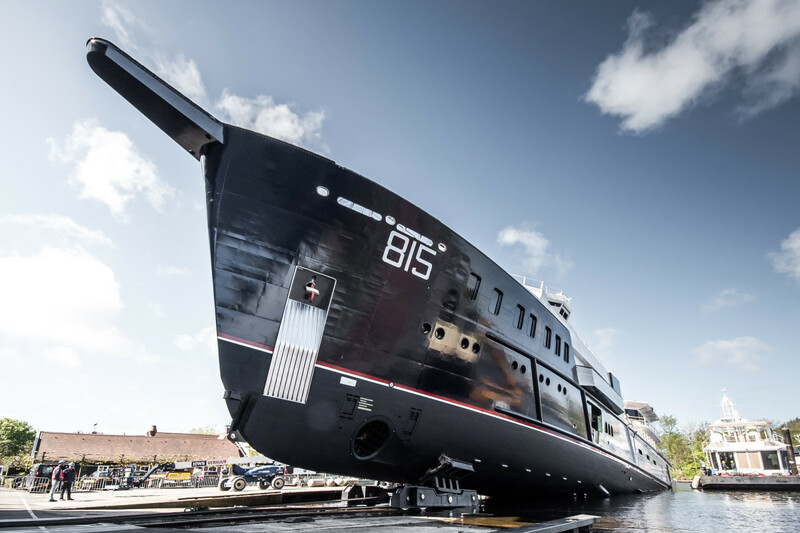 The yard is believed to have another Top 100 entrant on the way in the 305-foot (93-meter) Project 814, with a 2019 delivery planned. 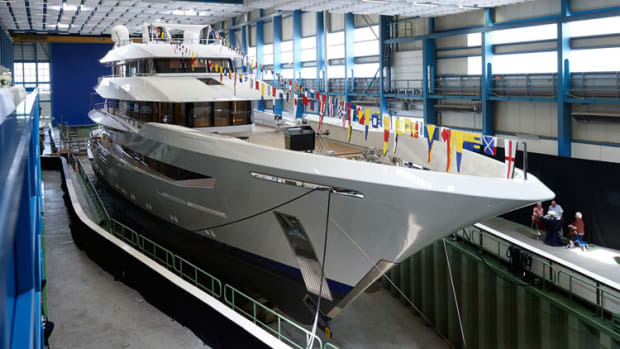 The yard reports at least five additional projects currently in various stages of development from 58 meters to 77.25 meters.